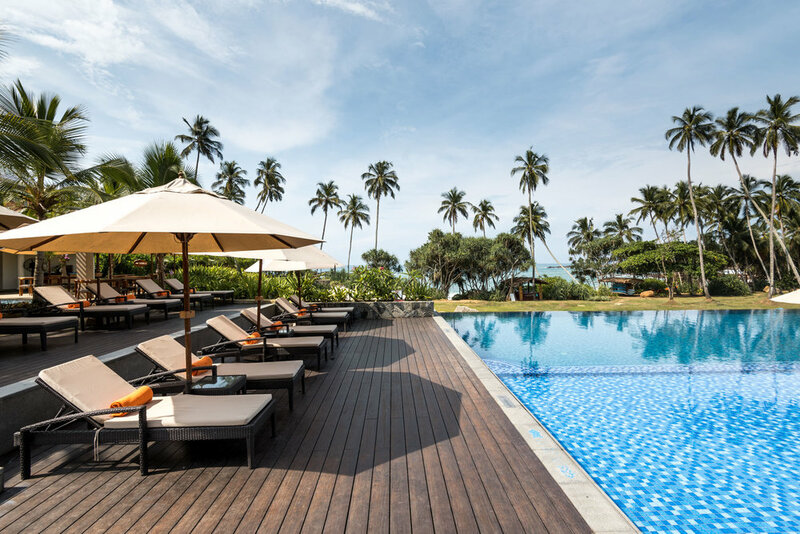 With a spectacular beachfront location in Tangalle, Sri Lanka featuring luxurious private villas and a tranquil spa; Anantara Peace Haven is a resort you'll never want to leave. We had initially planned our trip to Sri Lanka in order to visit Yala National Park, which is a long 6 hour drive from Colombo (where the main international airport is located). Knowing that neither Axel or us would be happy spending the better part of a day in a car, we decided to break up our trip by staying a few days in Tangalle, which is almost halfway between Colombo and Yala National Park. 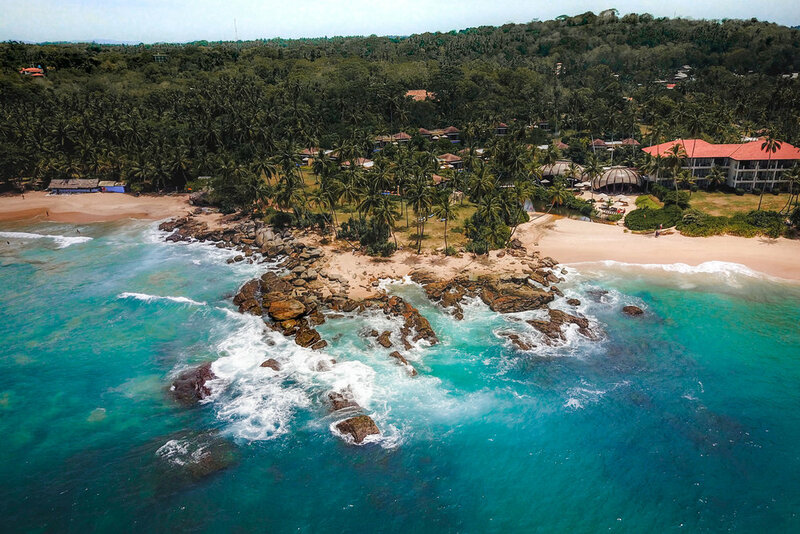 And it didn't hurt that Tangalle is home to some of Sri Lanka's most stunning beaches! Anantara is one of those hotels which provides you with everything you need, and its they type of property that you never have to leave. It is a large resort-style property, done in a tasteful and luxurious way, and with everything located on the property it was perfect for taking a baby around. See traveling with a baby is certainly a different experience – the heat made wearing his carrier uncomfortable, and as Sri Lanka is a developing country the roads are often in bad condition, so a stroller wouldn't really work well either. Obviously this made exploring a little difficult. 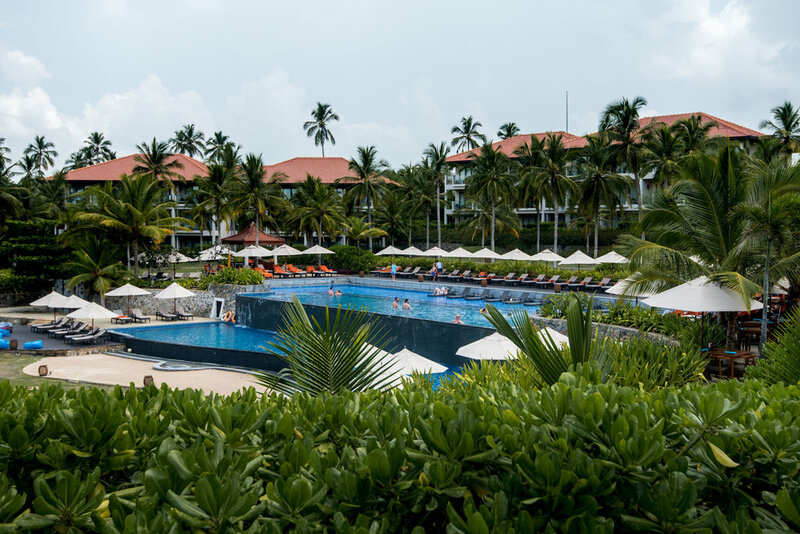 So we would spend our days, hanging out by the pool, wandering the grounds (the land is huge, so plenty of exploring to be done) and walking along the beach. It was perfect! When we arrived we were welcomed by a group of local women singing a traditional song in the lobby. Normally these orchestrated displays can be a little tacky, but this felt genuine and was really well done. 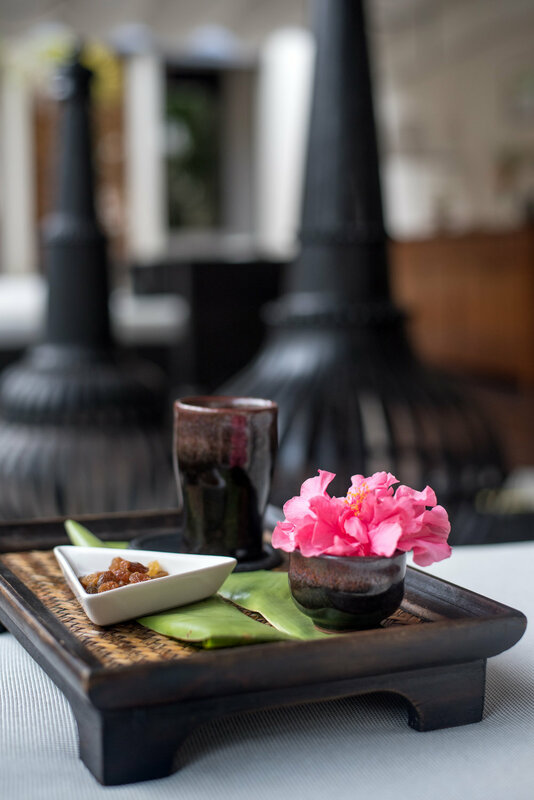 We’ve visited a few Anantara properties across Asia and the Middle East and so far they all have these amazing cultural elements, that feel quite authentic. Anantara is the sort of place that makes you not want to leave. It's the definition of a tropical oasis, with a picture perfect beach, swaying palm trees and beautiful open air architecture. Pathways connect the villas to the restaurants, tennis court, spa and reception, and these wind peacefully through the greenery and even over a little river. The villas are all located close to the beach so we didn’t have to go far to hear the relaxing sound of waves crashing onto the sand. We were shown to our villa which gave us all the privacy we needed. It felt like we were on our own private island, far from the crowds of guests that you would expect in a hotel of this size. We were in one of the Garden Pool Villas, and both of the features in its name helped make it great. It had a huge bathroom with a giant bathtub to match, as well as a walk in shower. It also had plenty of outdoor space and part of the bedroom had been set up especially for Axel. But I think the best part, was having palm trees outside our pool area (acting as a privacy screen) with monkeys playing all around. 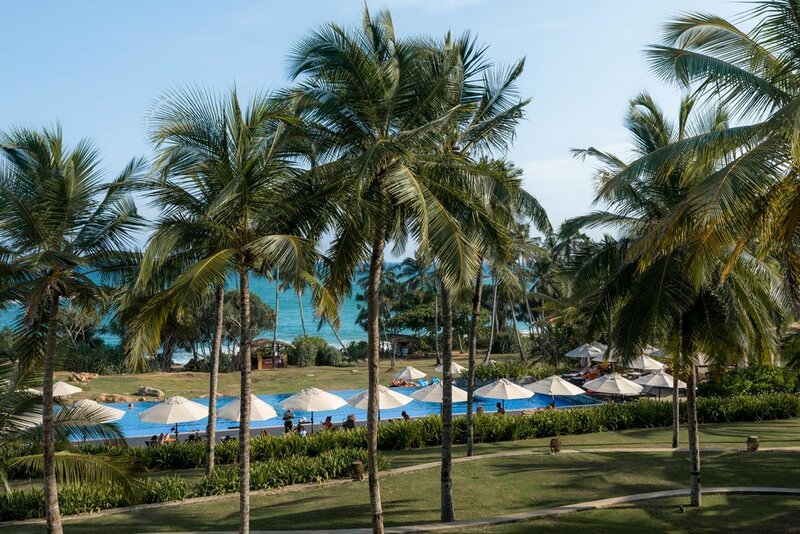 And from time to time, a coconut picker would climb up the palm trees, cut a few coconuts loose, cut them open and deliver them to us as we lounged by the pool – talk about making us feel pampered! When we ventured out of our villa for a bite to eat, we found an abundance of options to choose from. The main restaurant, Journeys offers buffet breakfasts and dinners, and although we don’t normally go for this style of dining, this was a delicious exception. Each night there was a different theme, and having developed a taste for the local food during our stay in the country, we managed to catch the Sri Lankan and Indian themed nights a few times. 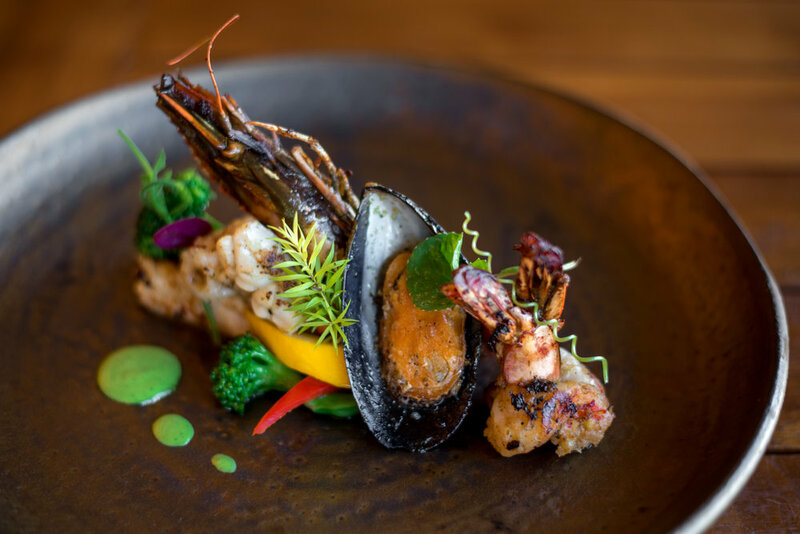 Whatever the theme, they have a range of different foods so nobody will struggle to find something they like and it’s all presented in a way that looks appetizing and well thought out. One of our favorite food related experiences, was not in the restaurant, but at Spice Spoons cooking class, where we learned how to make the delicious food that the country has to offer. It started after breakfast, when a chef and a guide picked me up in a tuk tuk and took me to a few local food markets. This was an experience in itself due to the lively organized chaos that surrounded the stalls. Thanks to my guide, I was able to find the best ingredients including some local delicacies. My purchases included such rarities as dambala, snake beans, an array of eggplant varieties and some fresh fish…one Google search of Sri Lanka produce and you’ll see what I mean. Once we got back to the hotel, we learned how to turn these (and other) ingredients into wonderful dishes. We made somewhere around five different curries, and I learned how the locals make their cuisine so good (lots of fresh spices is the key). Afterwards we even made a desert from goats curd. It was great experience and my mouth is watering just thinking back to all the dishes we made. The chef was a great teacher, and I loved that the class was tailored to what you had chosen to buy and cook. Another welcome way of filling our time was Anantara’s fabulous spa. 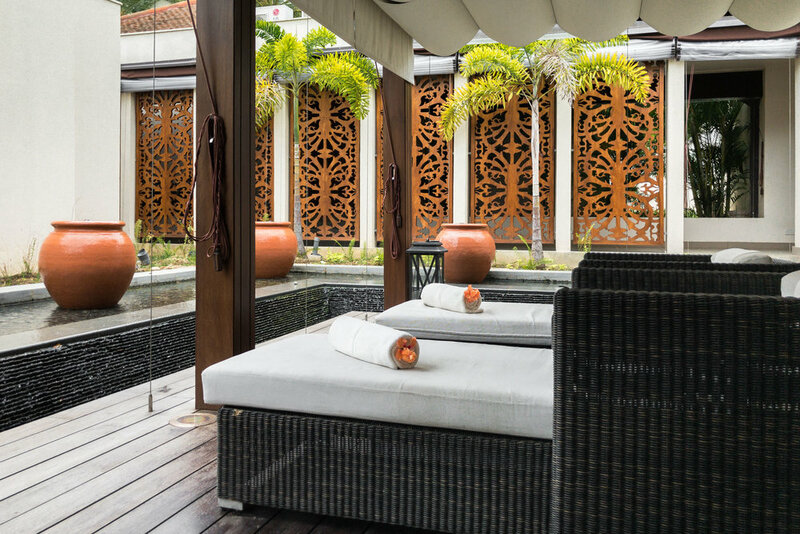 Set among a particularly spectacular part of the hotel grounds, the spa's courtyards and gardens are designed to inspire a sense of tranquility and it worked. I arrived early, so that I could spend some time appreciating the space in the relaxation area before it was time for my massage. The massage itself was bliss. I went for a traditional deep tissue massage, but they offer a wide range which includes everything from crystal balancing to Shirodhara – a procedure than involves a steady stream of warm oil dripping from a special bowl onto the forehead. Beyond this, the hotel facilities include a communal pool, a gym and the tennis courts. The best amenity however was the natural setting itself. At either end of the beach were dramatic cliffs which, like everywhere else, were carpeted with tropical trees. It really was the stereotypical tropical paradise. Apparently this coast also offers excellent surfing, but neither of us have the experience to confirm that for ourselves. Instead, we enjoyed the waves from land, taking walks up and down the beach to soak up the sights and sounds of the ocean. 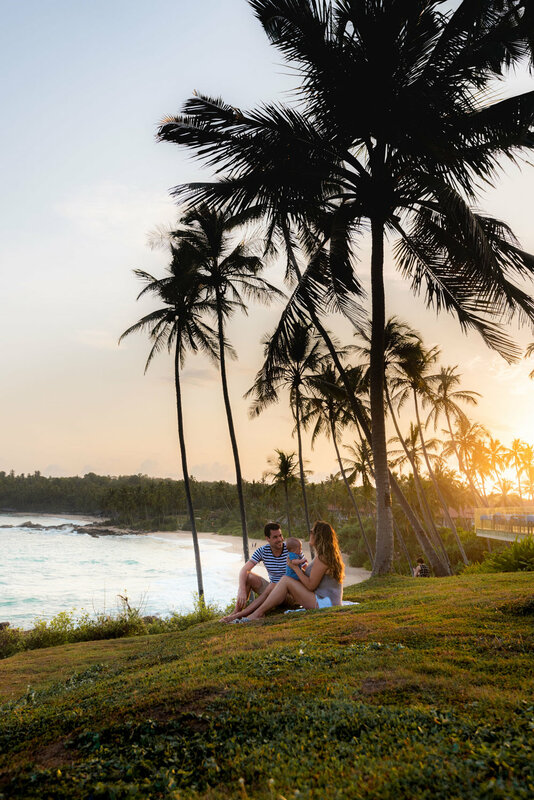 At Anantara Peace Haven we have found a new favorite, and somewhere we could easily return to multiple times in the coming years. If you are traveling with a family, going on a honeymoon or just like to spend your time relaxing while on vacation, I highly recommend checking this place out.